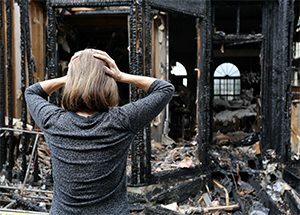 As smart home products gain traction, a new research from Parks Associates reveals that about 40% of households that have home or renters insurance are interested in buying smart home products that detect electrical fires. Approximately 6% already own a smart smoke detector. Increased interest means there is strong market opportunity for growth in the smart home solutions sector. Smart home solutions that can detect, prevent and protect against electrical fires are an important part of the smart home landscape. Arc fault circuit interrupters have the potential to be the first major market technology since the smoke alarm. Benefits of arc fault circuit interrupters touch multiple industries, such as insurance, energy, security and smart home. Of the households that subscribe to professionally monitored security systems, 21% own a smart smoke detector and 66% own a smart product. Half of US broadband households see the appeal of a connected device that alerts them to smoke and fire.